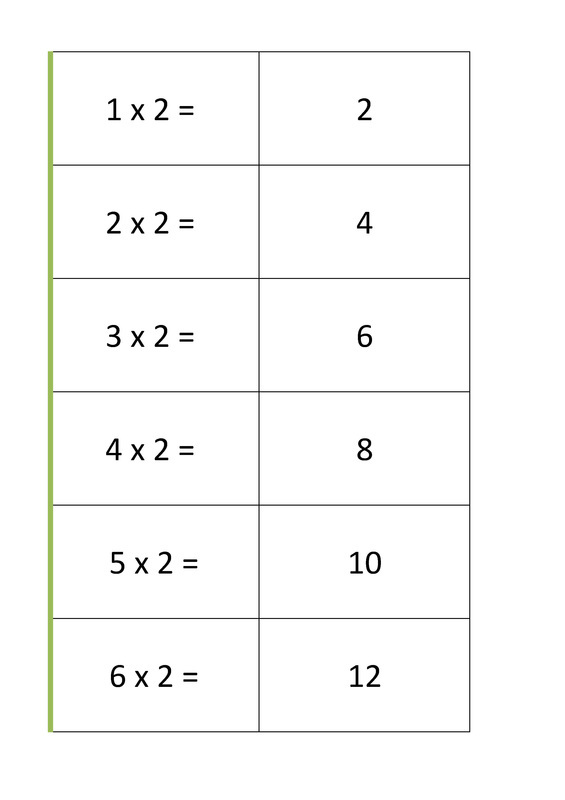 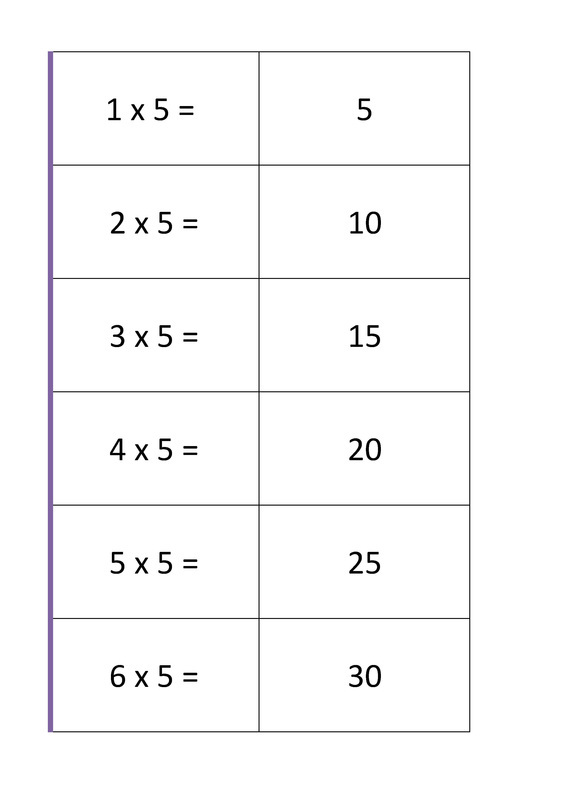 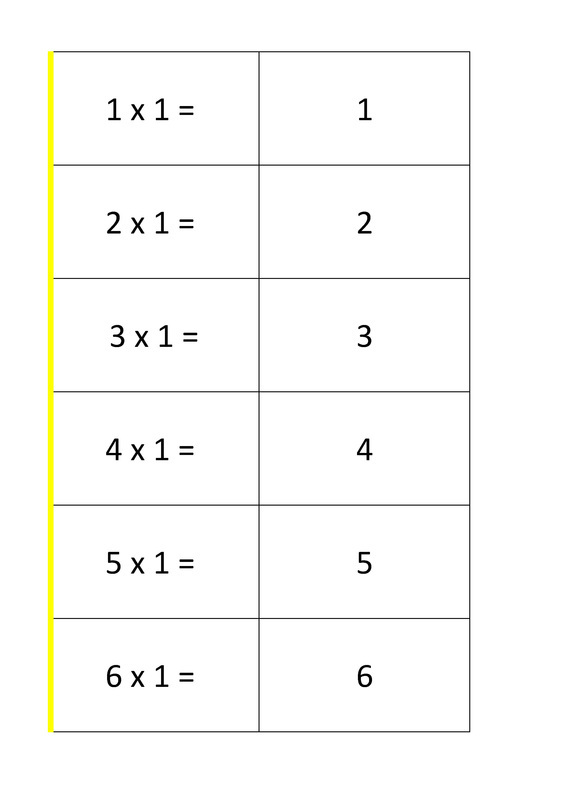 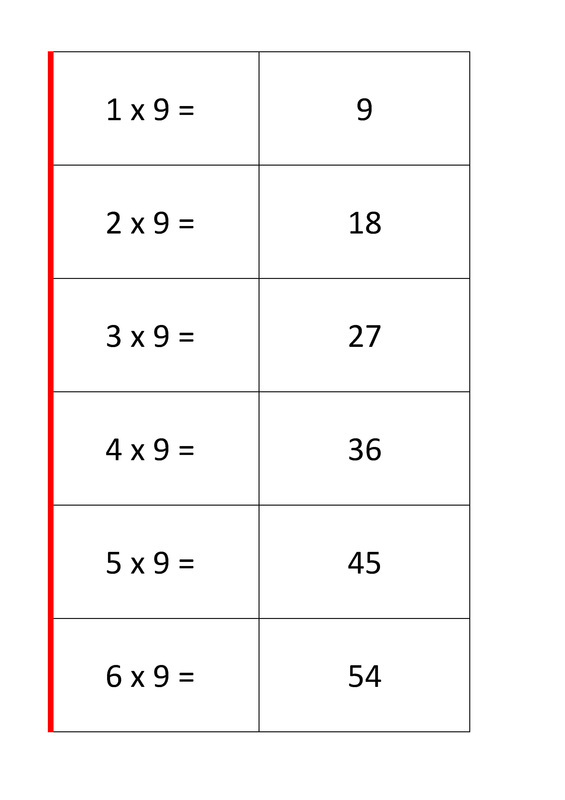 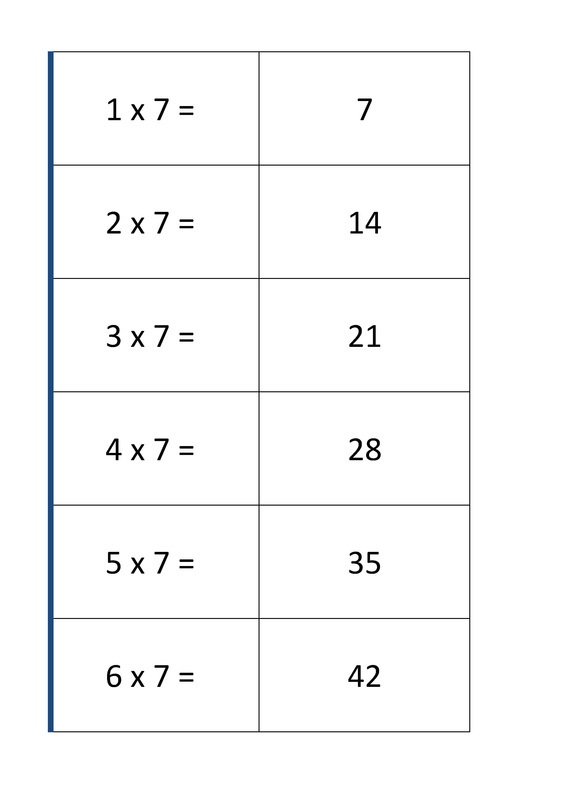 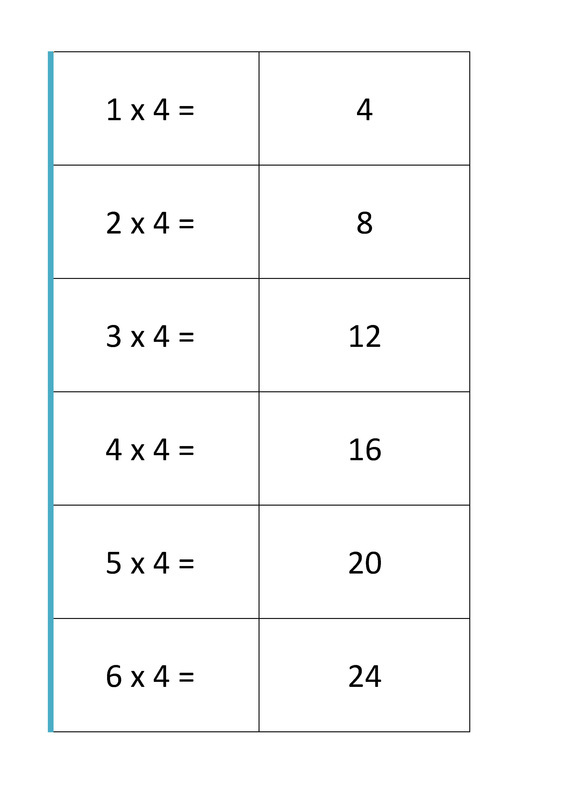 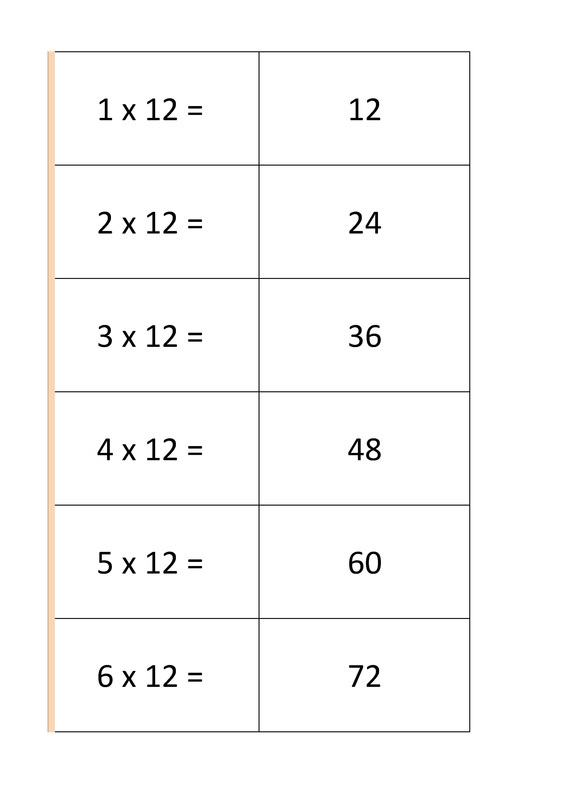 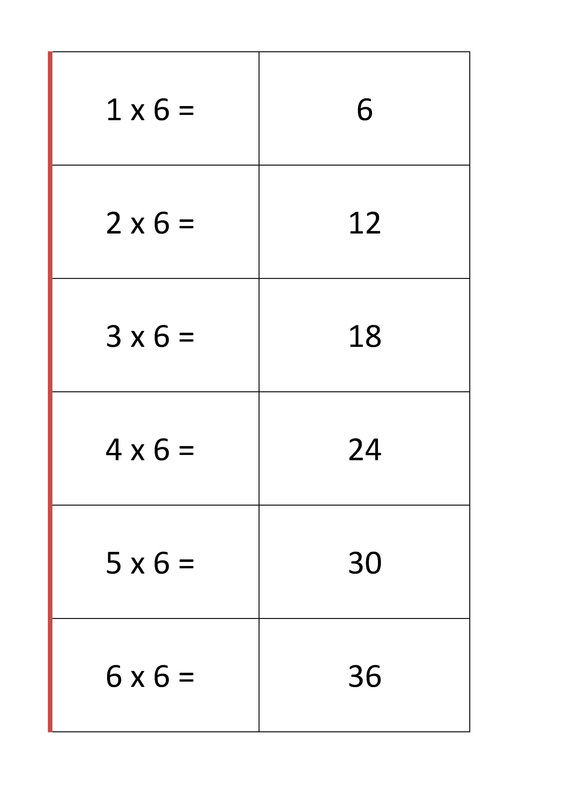 Easy to make - you simply print off the Times Table templates (links below), and cut them out. 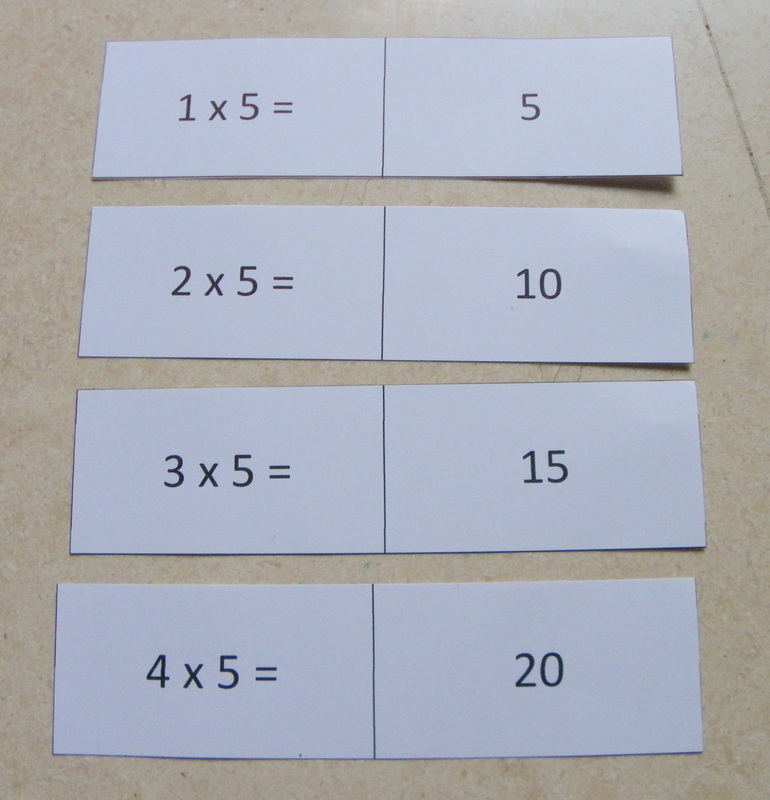 Then fold each card in half. 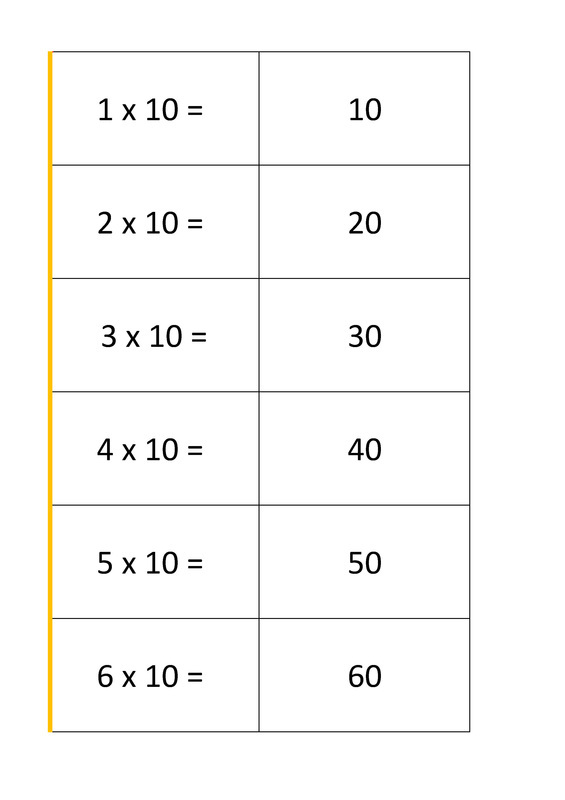 If you would like, you can tape or glue the two sides of each flash card together, or you leave them un-glued so that the answer can be unfolded out. 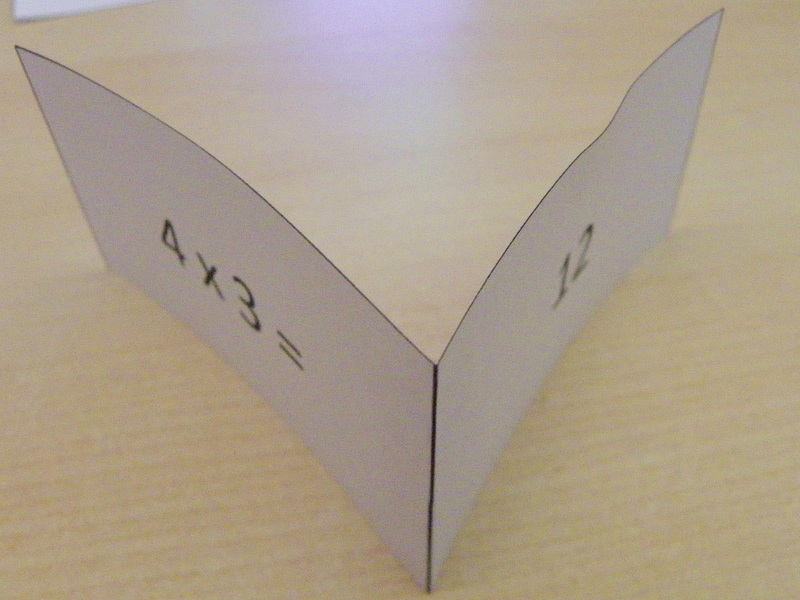 Make sure you cut them out so each is two-sided, with a fold line between the sum and the answer. 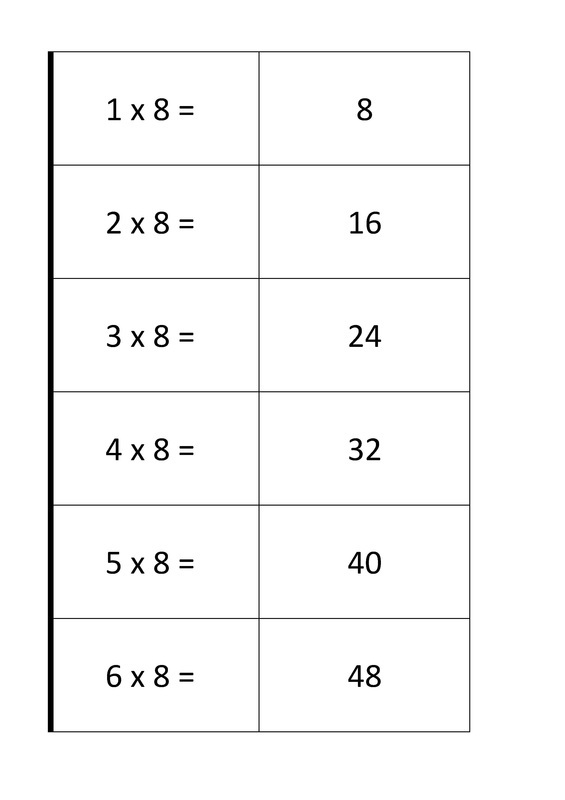 There are two versions of each Times Table. 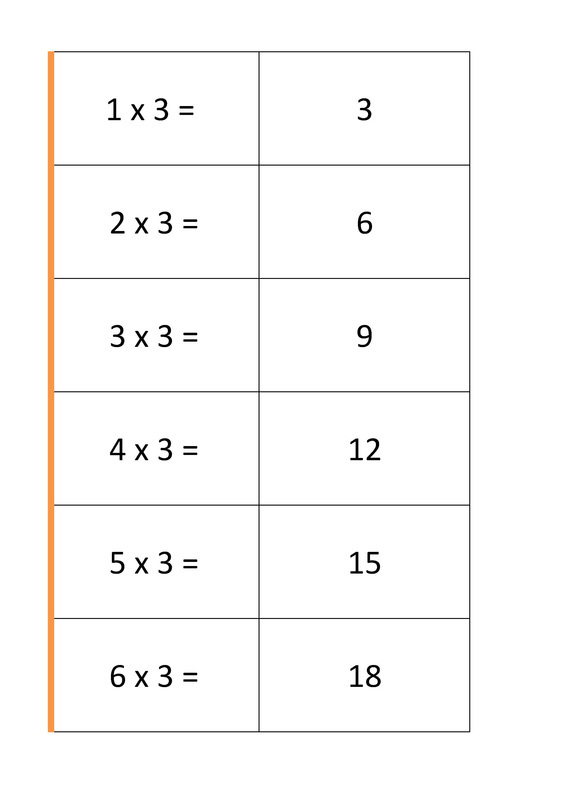 One set has a colour down the left hand side, to make sorting the cards easier. 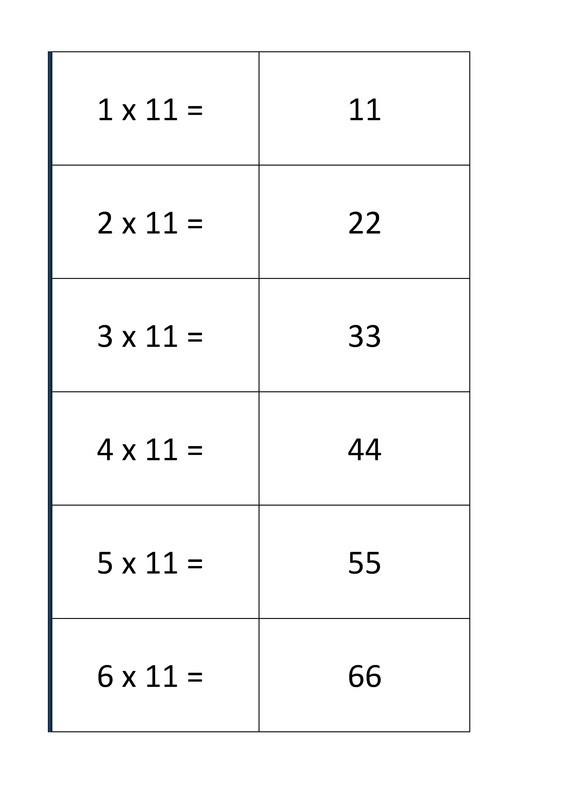 There is a unique colour for each times table.